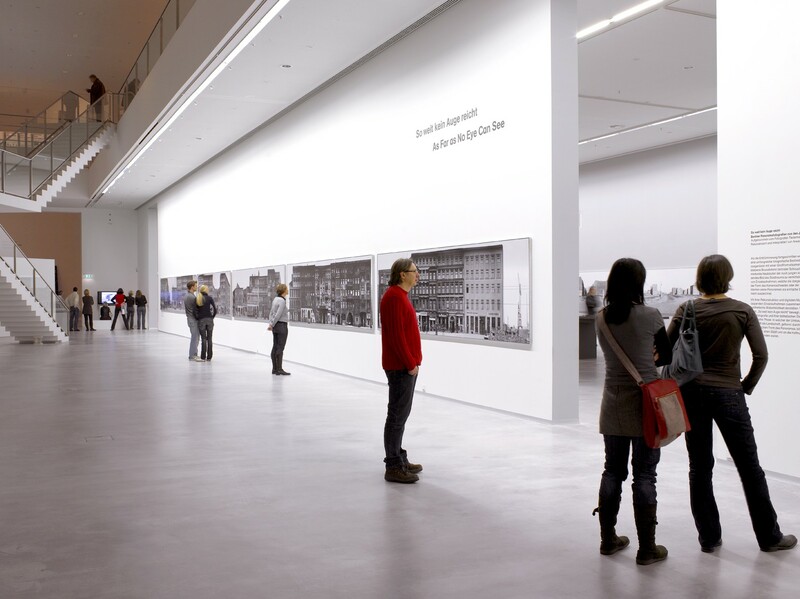 The Berlinische Galerie presents the exhibition “As Far as No Eye Can See” from 1 November 2008 until 22 February 2009, consisting of panorama photos of Berlin, taken 1949-1951 by Fritz Tiedemann. Due to the partly huge dimensions of the pictures exhibited, watching the images of the city destroyed by war offers quite an intensive experience. 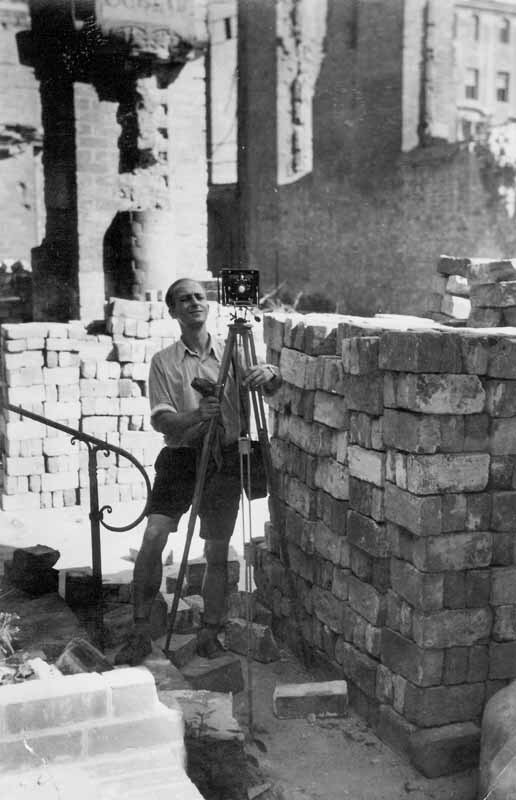 Fritz Tiedemann (* 14 February 1915, + 23 November 2001) was a skilled topographer and was trained photogrammeter at the armed forces. He documented the city as photographer for the Berlin Amt für Denkmalpflege (Office for Local Preservation and Heritage). The photographer Arwed Messmer came across the images of Tiedemann during researching for his book project “Anonyme Mitte – Berlin” (Anonymous Centre – Berlin) and consequently developed the idea for this exhibition. “As Far as No Eye Can See” presents 13 reconstructed and digitally connected panoramic photos by Tiedemann from his work amassing some 1,500 pictures. 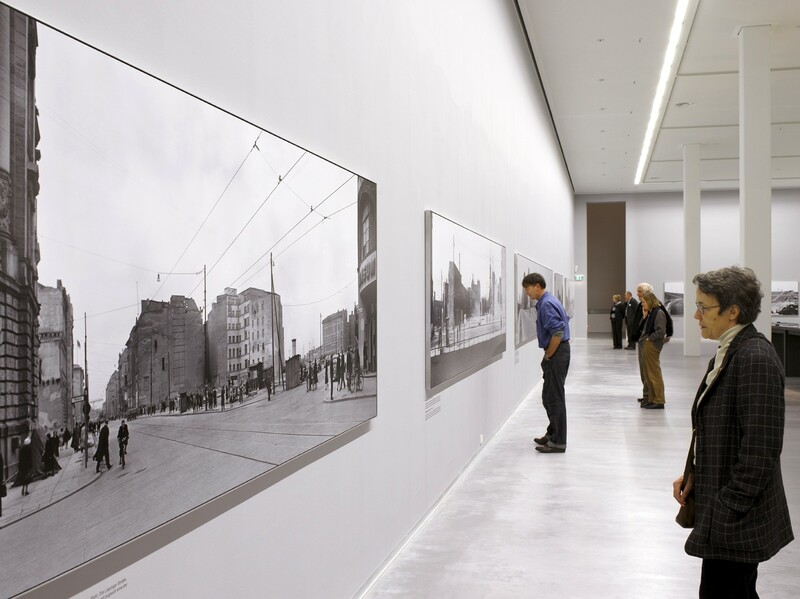 The city landscapes from the years 1949-1952 have been enlarged to partly almost gigantic measures (up to 25.2 metres long), resulting in a fascinating view of Berlin, destroyed in the war and being rebuilt by the time. US Holocaust Memorial Museum, Washington D.C.